What Should You Do When Your Kid Wants A Phone? Every parent will face this dilemma at some stage. Their kid wants a phone and they either cannot afford one or feel that their child is too young to have one. This is one area where children and parents can have very different opinions and it can lead to a lot of conflict within the family. Here are some ideas on how to diffuse the situation. Getting over the financial barrier of getting a mobile phone. Mobile phone contracts are not cheap and if you already paying out for your own contract, a partner’s contract and perhaps even an older child’s contract this can really mount up! When you have lots of other household bills to cope with, the last thing you need is yet another mobile phone contract. You may also be struggling to get a mobile phone company to give you any sort of contract. You may find that getting an iPhone 7 with bad credit is not that easy. Luckily there is advice here on what you can do and plenty of support to help you get exactly the contract that you need with the minimum of stress. If your kids are older, they could make a contribution to the monthly payments. Teens can get jobs such as paper rounds from the age of around 13. Older teens can work in shops and restaurants. Younger kids can help out with chores around the house. At what age should a child get a mobile phone? Unfortunately, there is no easy answer to this. It is up to you to have a serious discussion with your child about it. Start off by finding out exactly what they want the mobile phone for. Is it purely for internet access? If that is the case, you may feel more comfortable about getting them a tablet device that they can use at home when you can keep an eye on them. How many of their friends have got a phone and do they feel left out because they are the only one in their peer group who does not have one? This can be a very difficult situation for a child to cope with and it is important that you do not dismiss their feelings. Once your child starts to become more independent, it can be very useful for them to have a mobile phone. They can contact you if they need to be picked up from somewhere. They can also let you know if they are going to be late and this can prevent you from worrying unnecessarily. Many young people want a phone because they want to use it to communicate with their friends via chatgroups and social media. There are inherent dangers here for younger children who may not understand the dangers of sharing details about themselves online. 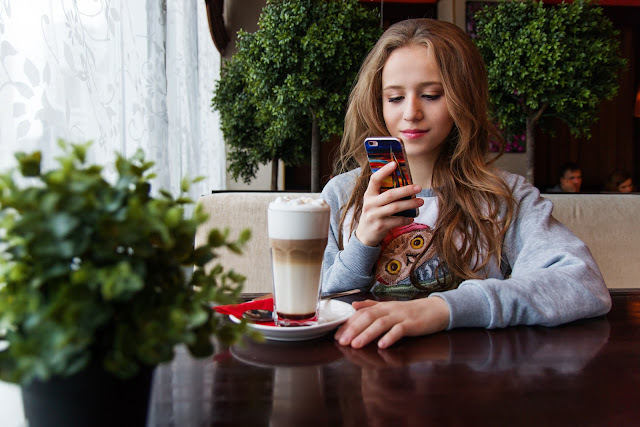 Before you allow your child to have their own phone it is important that you talk to them about how important it is to keep safe online and how they can do that. Like many things, different parents will make different decisions, but if you do decide to get your child a phone, make sure you have parent lock systems in place, and do limit their social media time as social media can become addictive, and no one wants to see their child fall badly behind at school. Making The Transition To Secondary Years Play. Transforming Our Garden Into Our Dreams.